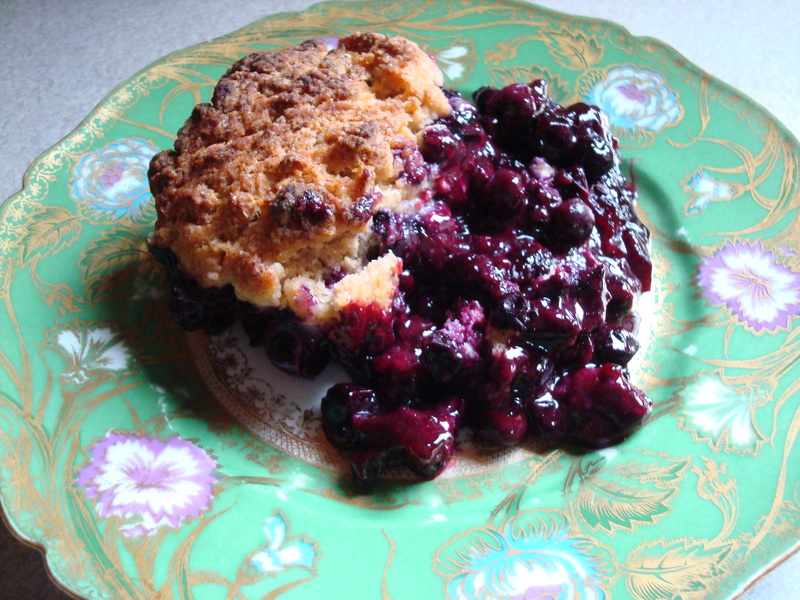 Fact: I ate blueberry cobbler for breakfast this morning. I had some left over from a cookout I hosted yesterday and the options were either the cobbler or yogurt and fruit and I eat yogurt and fruit for breakfast 297 days a year so the choice was clear. I was kind of a picky eater when I was a kid and sometimes my mom would let me eat her home-made pies for breakfast. She says she figured they had fruit in them and fruit was good for me, so why not. I like this line of thinking and figure it applies to cobblers too. I’ve been really into making pies lately but for this go-round decided to make a cobbler instead because they are slightly more low maintenance and I’m all about low maintenance. No rolling out pie crust here. In fact, cobblers encourage you to be sloppy and their recipes usually instruct you to “pile” “heaping” measuring cups full of dough on top of the fruit. Awesome. Looks like a pretty well-rounded breakfast, no? 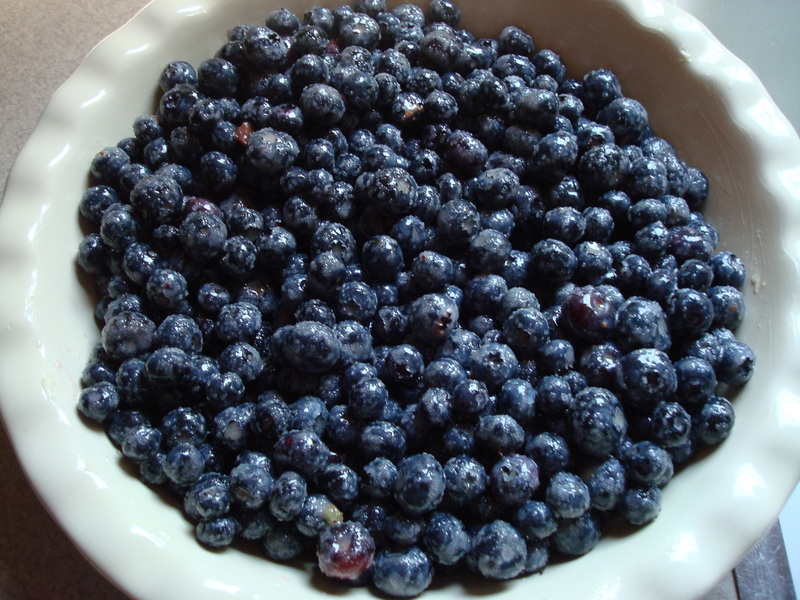 In a large bowl stir together the cornstarch, sifted, and the granulated sugar and add the blueberries and the lemon juice. Toss the mixture until it is combined well and transfer it to a buttered 10-inch (6-cup) deep-dish pie plate. In a bowl combine well the flour, the brown sugar, forced through a sieve, the baking powder, the salt, and the cinnamon, add the butter, and blend the mixture until it resembles coarse meal. Add 1/4 cup plus 2 tablespoons boiling water and stir the mixture until it just forms a dough. 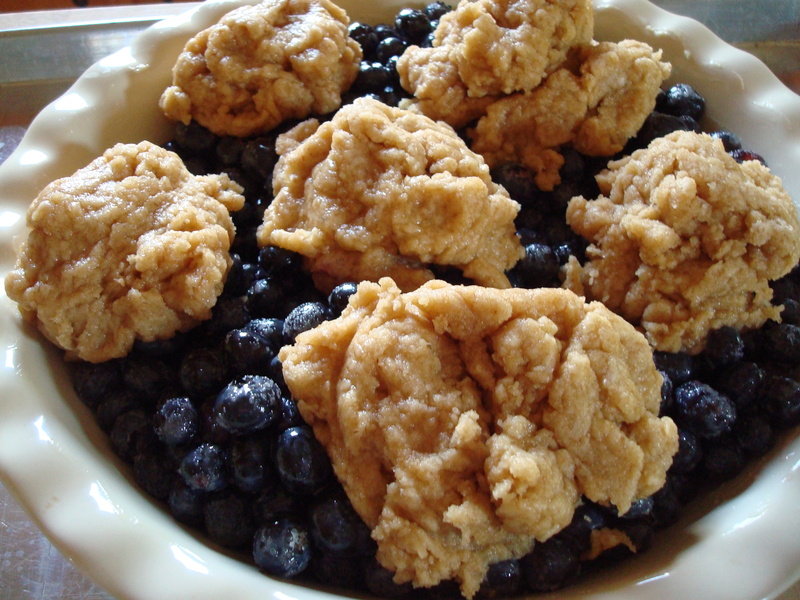 Drop 1/4 cupfuls of the dough over the blueberry mixture and bake the cobbler on a baking sheet in the middle of a preheated 400°F. oven for 30 to 40 minutes, or until the topping is golden and cooked through. Serve the cobbler warm with ice cream. Great plate. 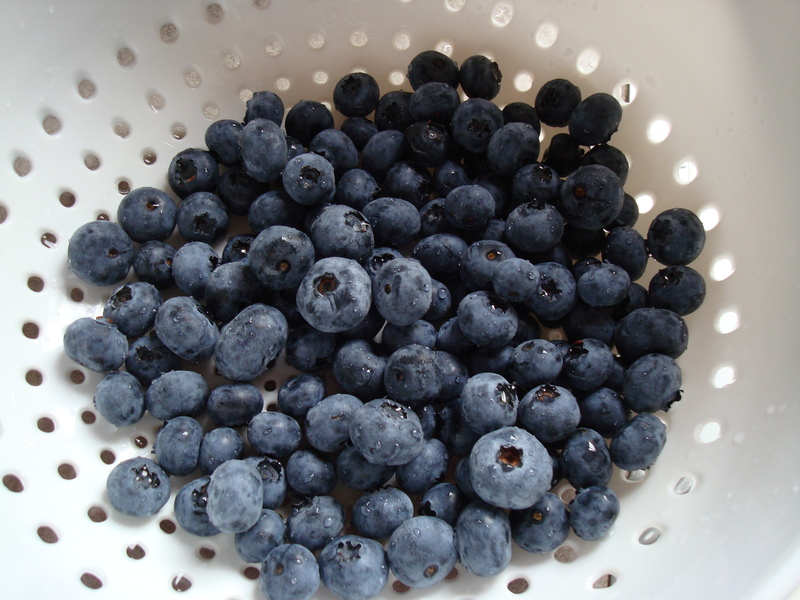 Maybe I can convince Shayne to go pick some blueberries from the local farm here and we’ll give this one a whirl!